First, we begin with some stretches. H-hey! What do you think you’re doing? Mou… I guess it can’t be helped. School girls must wear bloomers in gym class? Azone Yui decides to join big sis. Yui is easily distracted by her surroundings. So much for exercises! Nice shot as always :D Sharp and delightful! How very very cute. I’m sad I never got the chance to meet her. Really beautiful shots you got there, especially the lovely ‘bokeh’ in the 2nd shot. Yui looks very cute and I loved seeing chibi Yui in the same outfit! Perfect! Always thought Yui’s not that limber, me thinks. 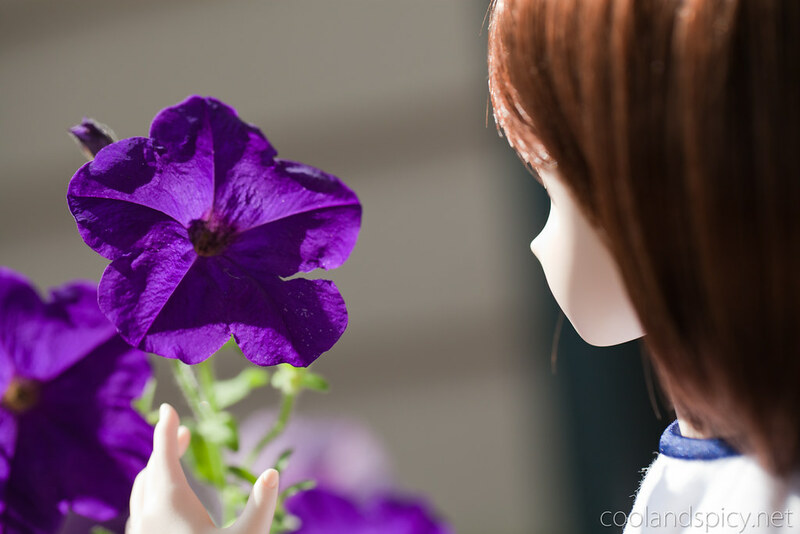 the shot with the azone doll on her shoulder is very cool. Hmmmm, Azone clothes on PVC figures? Never thought of trying that. Sounds interesting. Nice photos. 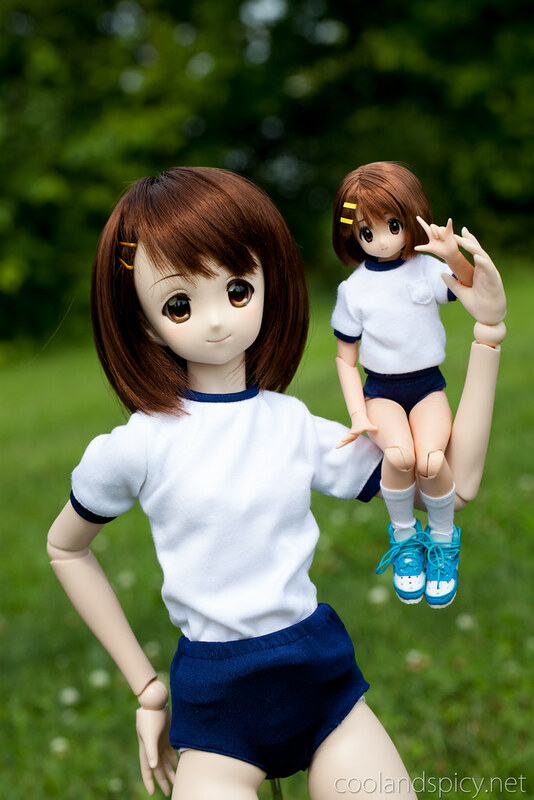 Having the Volks 1/3 Yui and Azone 1/6 sized Yui side by side like that really puts them into perspective. The Azone looks so tiny! Nothing like some exercise ^^. The last time I went to Japan I saw people doing radio exercises early in the morning ranging from little kids to the elderly. 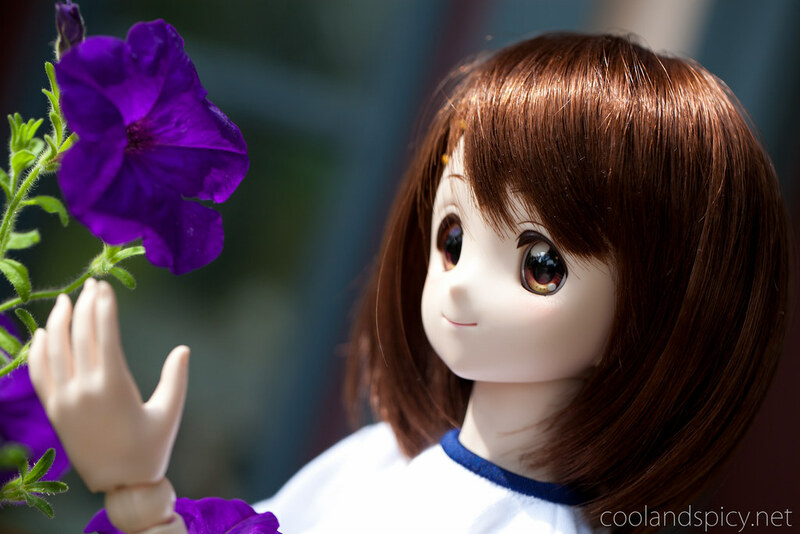 Nice pics ^^. Wow the setting really compliments them both! OMG – Mini Me! another fine set of shots and great commentary! 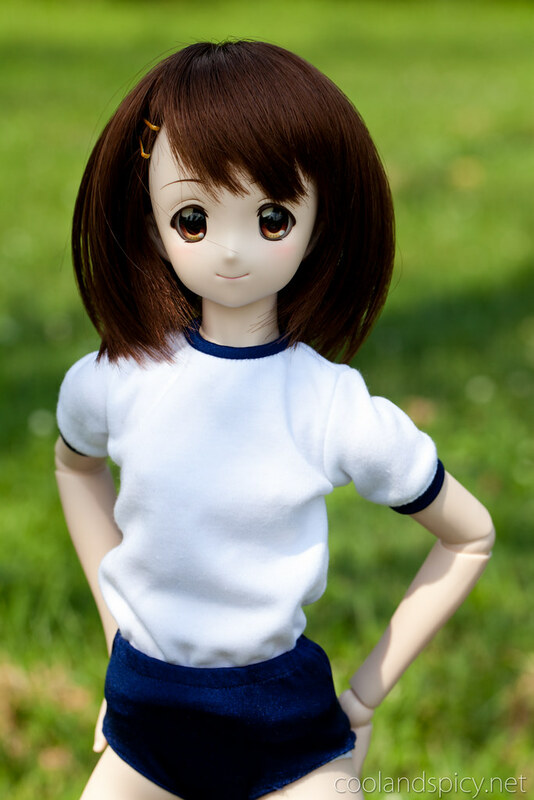 I like smaller Yui better because her eyes are closer to the anime look. I’m guessing big Yui is 60cm and small yui is 30cm? I believe Azone Yui is about 25cm. 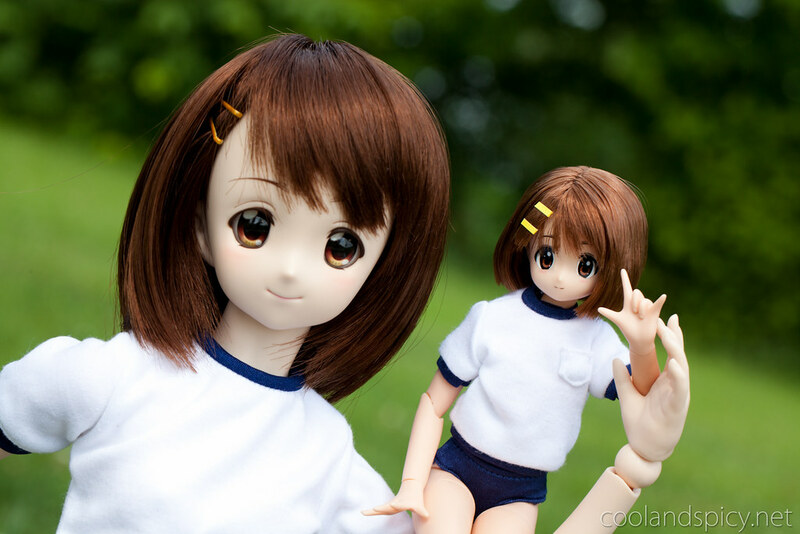 DDs are about 1/3 scale, whereas the K-ON Azones are 1/6. Oh wow I really like seeing the scale comparison detween DD and Azone. nice shoes on the small Yui !